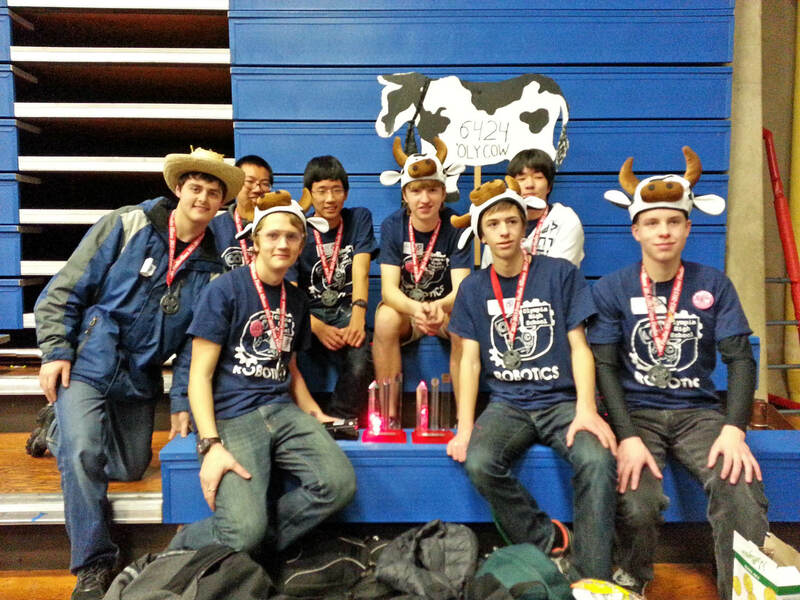 Both Olympia High School teams, Oly Cow (6424) and Brodo (6212), as well as Team Swag from Capital High School competed in the FTC State Champions at Bellevue College on January 12. All three teams did well in the 6 qualifying rounds, with Oly Cow ending up as the top seed and Team Swag and Brodo as 9 and 17 respectively. Oly Cow was captain of an elimination round alliance and both Brodo and Team Swag were selected as partners on elimination round alliances, so all three OSD teams entered the semi-final round. There were a lot of exciting best 2-out-of-3 elimination matches and unfortunately Team Swag and Brodo lost in the semi-finals. Oly Cow’s alliance put up a great fight in the finals, but ultimately lost to the 3-time state champions. 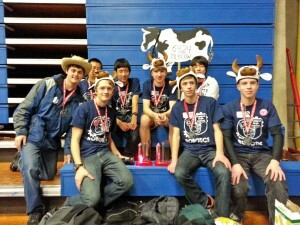 However, Oly Cow was a finalist for the Motivate Award and won the Think Award for creative design. Congratulations to all our FTC teams for representing OSD so well at the State Championships.